Before we get into what types of leads are most likely to convert, let’s talk about the types of leads and how to segment and target them to give yourself the best chance you can. What are the Types of Leads? This is the coldest type of lead. Basically, sales reps get a list of names and contact info and start contacting. There’s very little personalization possible through this form of lead generation, unlike some other methods we’ll discuss. It is also almost impossible for sales reps to focus on specific types of leads via this method, so the conversion rate is typically pretty low. An information qualified lead is one of the cooler types of leads.  These opportunities provide contact information in exchange for something of value like an eBook, whitepaper or another resource. This type of lead is just beginning their search for a solution to their problem and will likely come from a broad spectrum of demographics. IQLs can best be nurtured by providing offers for more information, webinars, etc. via drip email campaigns to keep your brand in their mind. An MQL, or marketing qualified lead, is a lead drawn in by some element of a marketing campaign. If an IQL takes further action after the initial contact, they become an MQL. This means they are warming as a lead and becoming more open to your product or service. Whether they attended a webinar, subscribed to your blog or liked your page on Facebook, they’ve shown some kind of interest in your brand. This stage is ripe for nurturing activities like free trials, quotes, coupons or demos. If they decide you can provide a solution to their problem, they will move to the decision phase and become an SRL. Sales ready leads are leads who have been qualified and segmented into the Highly Qualified Lead (HQL) category — we’ll touch back on that later. They have shown a vested interest in your brand, product or service and are in a prime position to be passed on to the sales team. They are sales ready but haven’t been contacted yet. Many sales pipeline infographics leave out this stage and categorize opportunities in this phase as SQLs, but they haven’t been contacted by sales yet! This is a key point where leads can fall through the cracks, so it’s important to be ready to act immediately when they move from an MQL to an SRL. Once a lead has spoken with a sales rep, they become a sales qualified lead, or an SQL. A sales rep can help further determine if your organization can offer a solution to the lead’s problem. If so, they are perfectly positioned for a sale. If not, your sales rep can potentially offer alternatives the lead wouldn’t have encountered organically. If they make a purchase, they’ve officially become a customer! If not, you can keep them connected via drip marketing campaigns so your brand will be in their minds next time they have a problem. Highly qualified leads (HQLs) refers to a collection of specific types of leads that are highly likely to convert. Any lead in the bottom of the sales funnel (SRLs, SQLs and returning customers) is inherently going to be warmer and more sales-ready. These are the types of leads you should expect from a lead generation service like Selecthub. You wouldn’t try to sell baby clothes to a single man in college, right? It doesn’t fit his needs or interests. You have to differentiate leads in order to prevent embarrassing mishaps like this one. Every lead must be treated uniquely and catered to in order to sell them the right kind of product. But how do you decide what a lead will want? This is where lead differentiation comes in. Also known as lead qualification or lead scoring, this process takes an opportunity within reach of your marketing efforts and gauges their interest. This determines what kind of lead they are and, by proxy, how likely they are to convert. Look into marketing automation or CRM software. Whether you’re a B2C or B2B organization, if you need a way to consistently manage and segment leads, these programs are designed to make your life much easier. Create ideal customer profiles. You can’t qualify a lead without getting to know them, but you can take some shortcuts to figure out whether a prospect will be worth your time. Create a few different examples of ideal customers who are primely placed to become leads and then compare real leads to these profiles to determine the temperature of each opportunity. You can do this by asking targeted questions about their intentions and needs. Get help from a lead generation service. There’s nothing wrong with sitting back and focusing on your product or service while someone else — someone who specializes in content creation, organic lead generation and lead nurturing — does the legwork. 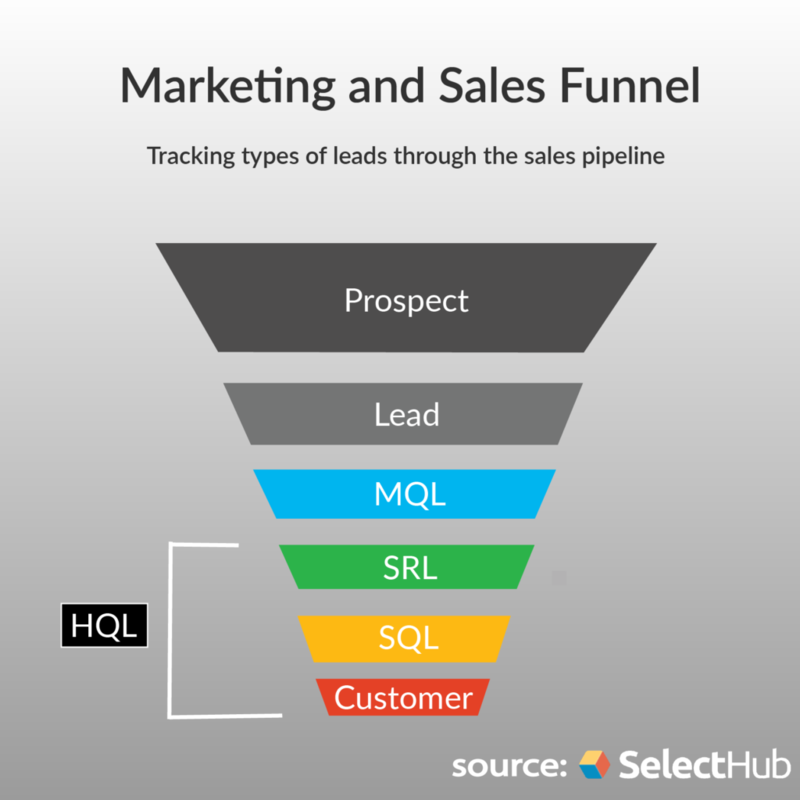 SelectHub, for instance, generates HQLs for software vendors through a combination of these lead generation tactics. It’s sales 101 that the warmer a lead is, the more likely they are to convert. These are your highly qualified leads, or HQLs. Any lead in the bottom half of the funnel — from SRL on — is considered an HQL. You’ll never find two studies that agree on the average conversion rate for any industry. For software and technology, the number is somewhere around seven percent. This number depends on a ton of factors, including SEO priorities, content quality, industry, number of web pages and landing pages, etc. But one thing that never changes is that the further along the pipeline a lead is, the more likely they are to convert. This may seem like cheating, but one of the best ways to capture leads is to outsource your efforts to a company that specializes in lead generation! Think of it this way: you could go hunt your own food, and you could be really good at it. Great! But for consistent, quality sustenance, you’re going to go to a supermarket and purchase that meat from someone who knows how to obtain and prepare that food for consumption. Leads are very similar in concept. You can (and should!) be doing other things on this list to generate your own leads. But if lean times come around, it’s good to have a steady source of leads. Demand generation partners do just that — and a typical lead from a demand generation partner like SelectHub will already be an HQL that has gone through a vetting process to ensure they’re a good candidate for your product or service. This is lead generation 101. To bring people to your site, you have to be findable. Just a product page might have cut it in 2008, but in the late 2010s, you have to up your game to get customers to your site. Whether it’s how-to articles to help users navigate your software or customer reviews of your product, content is the most valuable thing you can create to generate leads. The best kind of content is aimed at educating rather than selling — if you offer consumers value, they will return again and again. Despite what you may have heard, email isn’t dead! Because it’s so easy to unsubscribe from content you don’t want, email marketing is having its second heyday. Creating customized email templates can make every communication feel personal and can turn a cold lead into a loyal follower. Never underestimate the power of social media. There are over 20 ways to utilize just this lead generation tactic, so I’ll keep it brief. Establishing a brand presence and interacting with users online is crucial to building a following and creating brand loyalty. It can also be a valuable source for contact with IQLs and MQLs who have the potential to become customers. Sharing links to gated content, running contests or sweepstakes, and social selling are all tactics to draw in new leads. Social listening, or keeping an ear out for how the internet is talking about your brand, can offer priceless information for improving your outreach. How useful can referral rewards programs be, really? You might be surprised to learn that this is one of the highest-converting ways of attracting leads. While you probably won’t get a large volume of leads from this source, the leads you do get will be highly motivated and pre-qualified by the friend who suggested the product or service to them. According to a study by Nielsen, 84 percent of consumers trust recommendations from their friends, and they trust them seven times more than they trust traditional advertising. Plus, this is a set-it-and-forget-it type of lead attraction! If you’re trying to establish your organization as an authority, creating content that can be featured on trusted domains in your industry is an excellent way to build credibility. You can also form link-building relationships with these websites that will drive traffic to your page. Why should people listen to you? Why should they go to your site instead of others? Because you feature guest content from experts in your field, that’s why. Allowing guest posting on your site not only forms relationships with experts and other creators in your field, but it also creates a draw to your site. This happens for a number of reasons: first, your guest authors will likely do some promoting work for the content they created, reaching viewers your normal reach might not target. Additionally, if your guest authors are established voices in your industry, the weight of their name on your site alone can give credibility to your service. Whether you’re selling soap or software, everyone loves free samples. Offering a free demo comes with a triple threat of benefits: first, it functions as an incentive for potential IQLs who want to know more but aren’t ready to spend any money. It allows users to get familiar with your product before they buy it, increasing the likelihood of customer satisfaction. And free trials create brand awareness and loyalty by spreading your name around. Hopefully, you’ve gained some knowledge about the types of leads, how likely different leads are to convert and some ways to capture high quality leads for your business. Lead generation is an ongoing process, but the type of leads that will convert best are here to stay. What’s the best way to convert leads in your experience? Did we fully cover the subject? Tell us what you think in the comments or get in touch with our lead gen program to start getting more high quality leads.